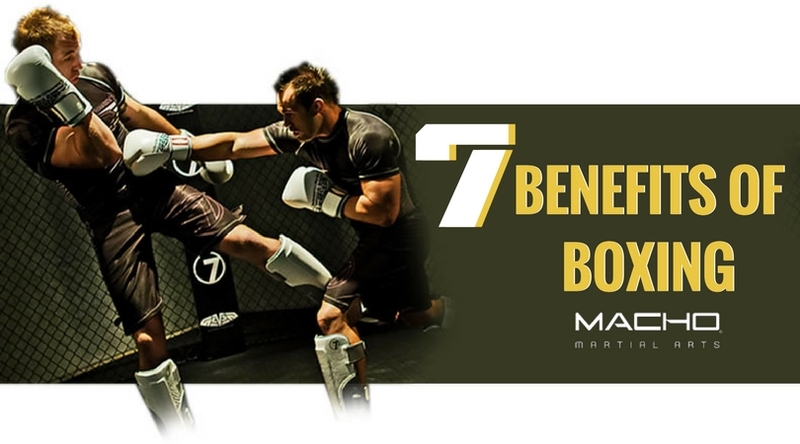 7 Benefits Of Boxing - The Macho Blog. 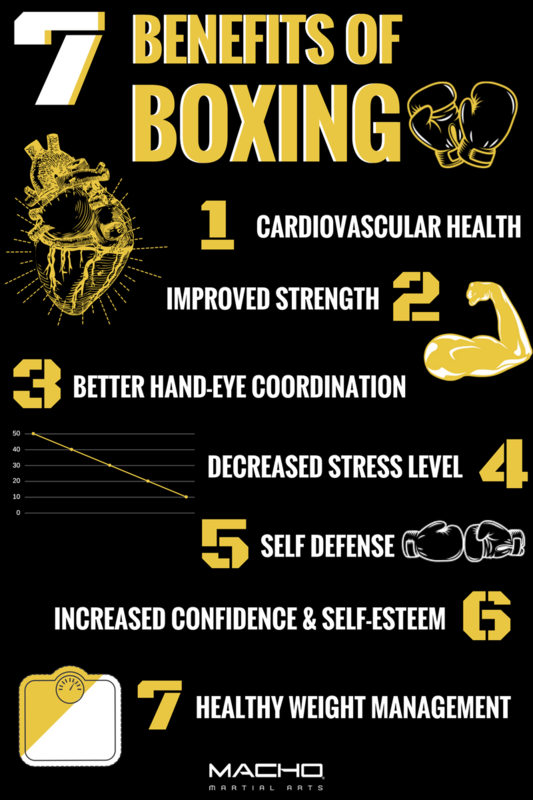 There’s a reason why boxing is one of the most popular workouts to add to your fitness regimen. Gyms all around the world allow anyone with an interest in learning boxing to hone in on the extreme strength, speed, endurance and athleticism that professional boxers experience. It provides the average person a great way to get in shape. Why should you sign up for a boxing class? Cardio can be a dreaded word for many looking to improve their cardiovascular health. The benefits of running are astronomical, but many find it hard or unengaging. Boxing provides similar benefits without the boring treadmill. Boxing will increase your heart rate, promote healthy breathing and improve your endurance. Many may think boxing only helps improve upper body strength, but boxing classes incorporate punching, kicking and core engagement that will improve your entire body’s strength. Accuracy, learning distance, balance and form, honing your skills. All are vital to the athlete in training. When taking a boxing class you’ll be practicing fine motor skills while aiming for punching bags and targets. Good hand-eye coordination provides faster reaction times, making you a sharp thinker and improving your martial arts sparring skills. Ever been so frustrated you feel like punching your pillow? Well boxing class is a great way to let out that energy. With increased physical activity comes increased endorphins. Endorphins are your body’s natural pain and stress fighters. With the consistency of going to a boxing class, your body will have a higher level of endorphins and you will feel fewer negative effects of stress. Boxing is a great way to start or supplement your self-defense skills. With increased strength, endurance and hand-eye coordination you will have the confidence you need to protect yourself. Not only will your confidence improve your self-defense skills, you will also feel an overall improvement to your self-esteem. With your endorphin levels high, your stress levels low and your physical improvements, you’ll begin feeling more confident in all aspects of your life. The sense of achievement experienced after finishing a class will resonate with you throughout your entire day. Providing your body with a regular fitness class like boxing promotes healthy weight management. Not only does the intensive physical activity help, but you’ll begin feeling more inspired to make healthier choices in other areas of your life as well.